What? 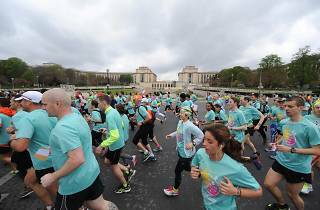 Thousands of runners and thousands more spectators gather for Paris’s big annual race. Where? It starts at the Champs d'Elysée and finishes at the Avenue Foch. 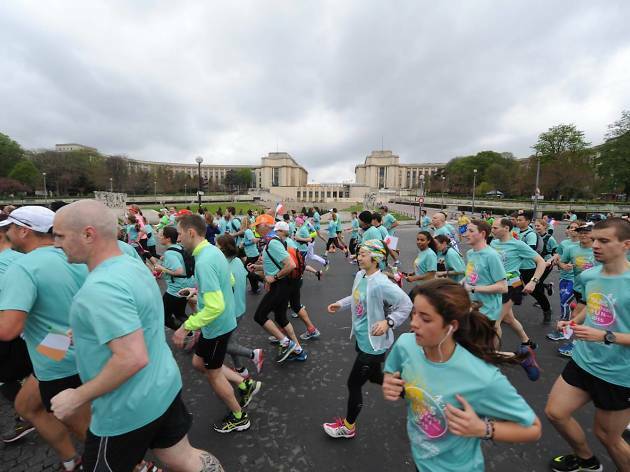 Inspired by 2015’s race to run or watch the epic Marathon de Paris? Registration is now closed for the 2016 marathon (on Sunday April 3 2016), but you can still try running for a charity or just turn out along with thousands of other supporters to cheer the runners on. For the best view of the emotional finish line, get down early to Avenue Foch. The race is preceded by a three-day Salon du Running at the Porte de Versailles exhibition centre from Thursday March 31-Saturday April 2. Thousands of visitors are expected to attend the free event in order to meet top athletes and get a look at the latest running gear on sale. For more information on the 2016 Schneider Marathon de Paris and the Salon du Running, click here.